The Hong Kong Jewellery & Gem Fair is scheduled to be held at the Hong Kong Convention & Exhibition Centre from 18 - 22 September, 2015. Glittering Gold Ltd is glad to be a part of the fair where we shall exhibit some of our finest jewellery and gems collection. Please visit us at Booth #5C139. The HKTDC Hong Kong International Jewellery Show is one of the world's top three jewellery events and an excellent venue at which to advance business in this shining industry. The show celebrates its 30th edition in 2013 by returning to its regular position in the trade event calendar, running from 16 - 20 September. It is our great pleasure that we “Timlly HK” participated in this show. Our Booth # 3A14. 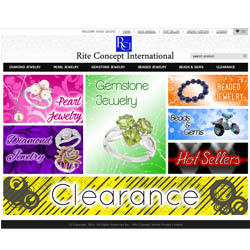 RCI has also launched it new e-catalog site. 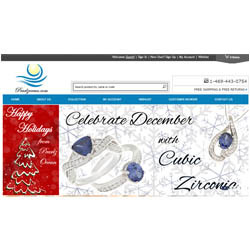 This is to help customers Interact by simply clicking the item of their choose and then automatically sent to their item page. This also allows customers to find discounted products, promo – codes, best sellers and what specials will be coming up in the future. 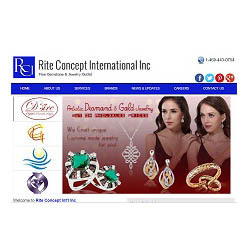 RCI has launched its new face of their fully integrated retail e-commerce store with secure and safe electronic transactions.